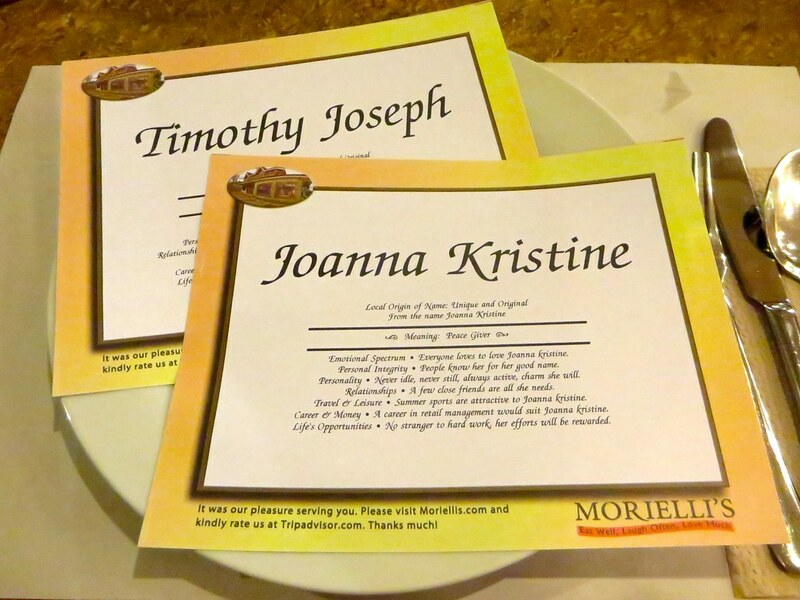 Anniversary (part 2): Dinner at Morielli's Restaurant in Tagaytay. 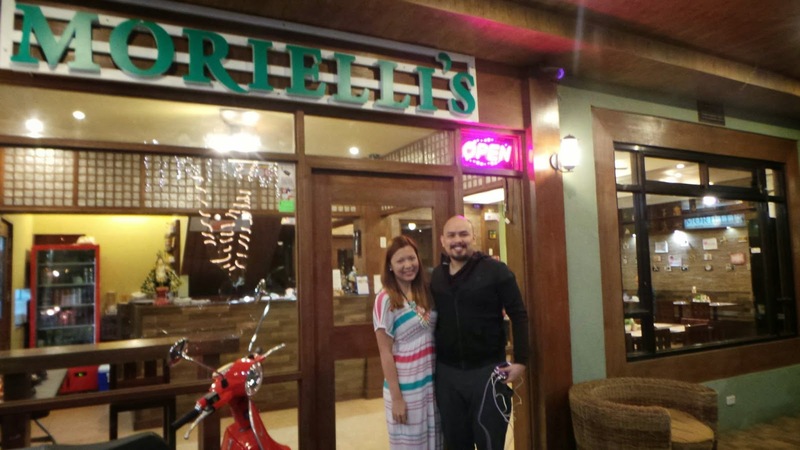 After our massage at Qi Wellness Living, T and I are still full from the meal we had before going up Tagaytay. But I usually get hungry in the middle of the night so T said we should get something light to eat before heading to our hotel. 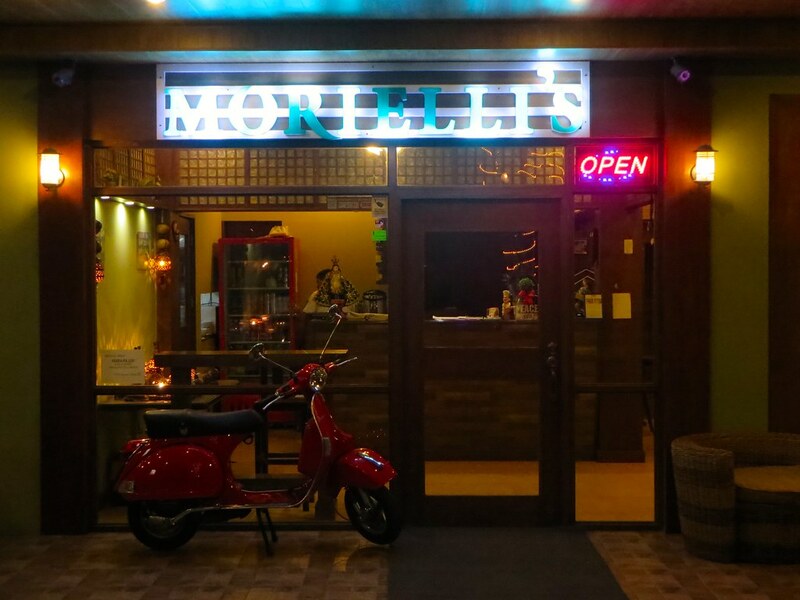 We look around while on the road until we see this restaurant called Morielli's. It looks casual but cozy enough plus T and I are in the mood for Italian food so this place is perfect.. Or so we thought. 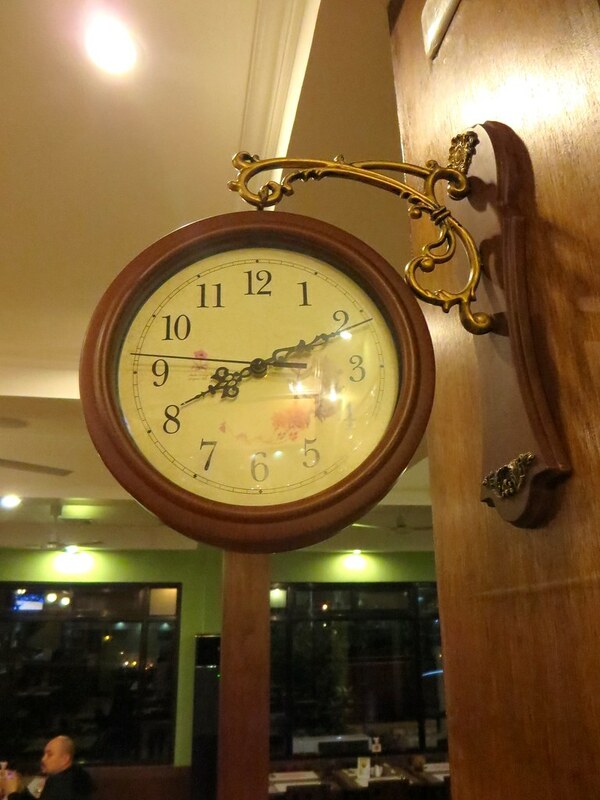 The name of the restaurant, the Vespa outside, and the decor inside are all Italian. So I wonder about the quirky signs on the wall which seem not-so-Italian. 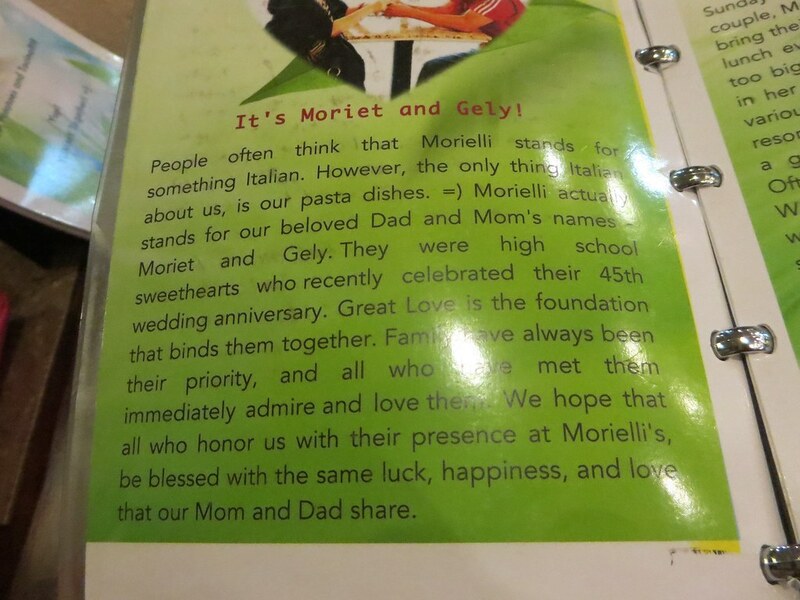 Apparently, Morielli's is NOT an Italian restaurant! The name is a combination of the names of the owner's parents (Moriet + Gely) and the food is Filipino with a mix of Mexican dishes. I feel like the name, slogan, and decor (I mean, there's a Vespa by the entrance!!) 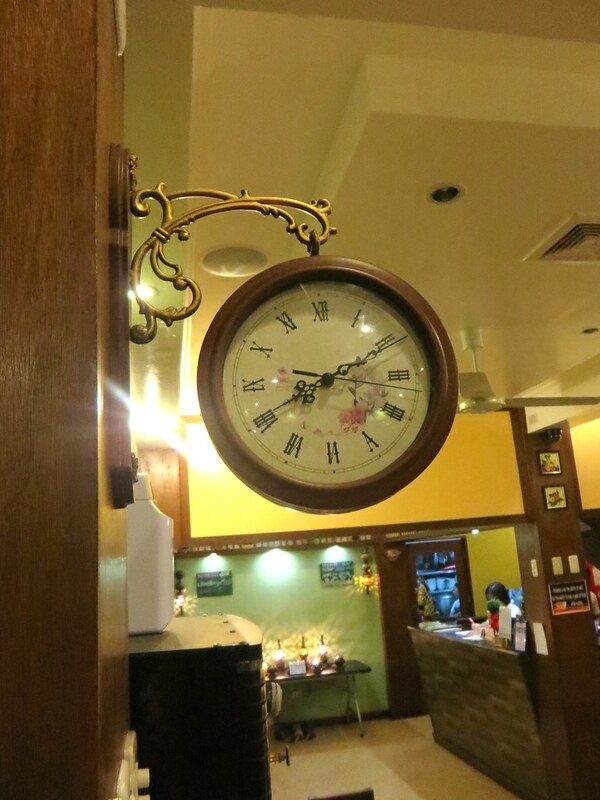 are a bit misleading but T and I stay anyway since the place is nice and the staff is accommodating. Morielli's is also an inn which can house a group of 16. 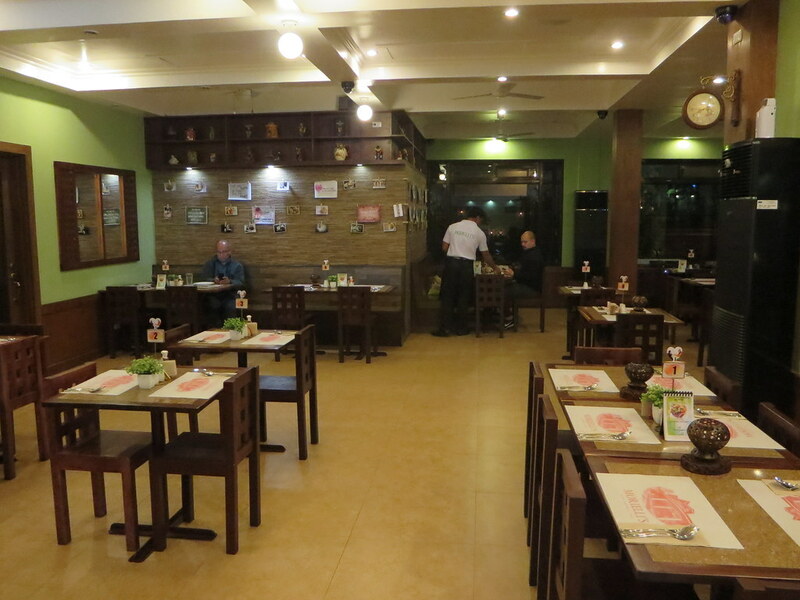 It's perfect for barkada outings or big family outings since you can have the place all to yourselves. They have 4 rooms and the rate is P3,500 per room for 2 people (extra person is P800). The stay comes with breakfast for all occupants. 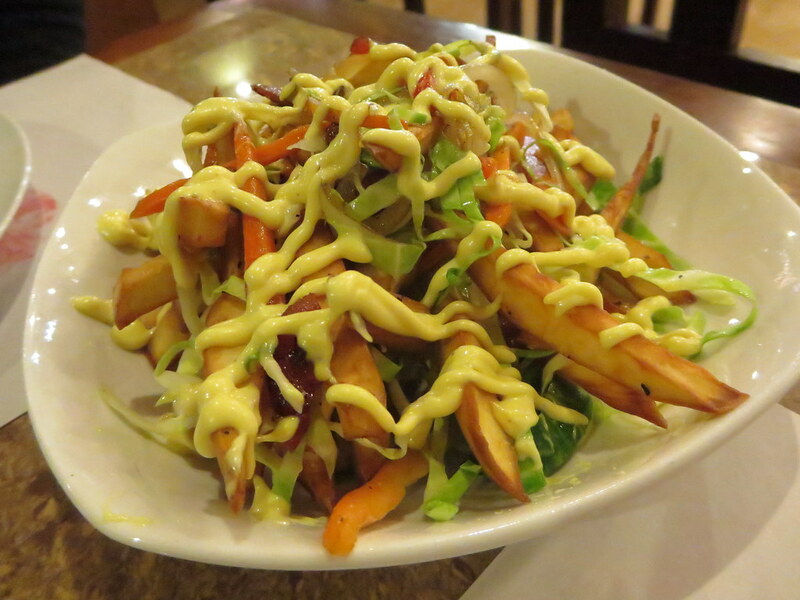 The menu says that Toci Fries (P125/$2.78) is their big hit appetizer so I order it. It's sweet potato with all sorts of vegetables mixed in. T and I like this a lot. Must try when you visit! Like I said, the menu is full of Filipino dishes but it's not really what I had in mind so we skip to the Italian portion which is actually just a page. 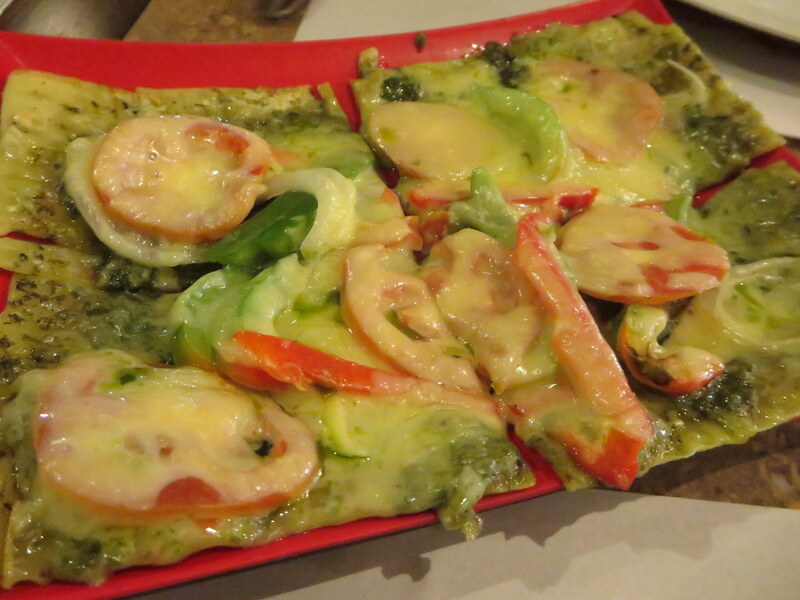 T orders the Italian Flatbread (P140/$3.10) or thin crust pizza topped with cheese, pesto, tomatoes, and bell peppers. 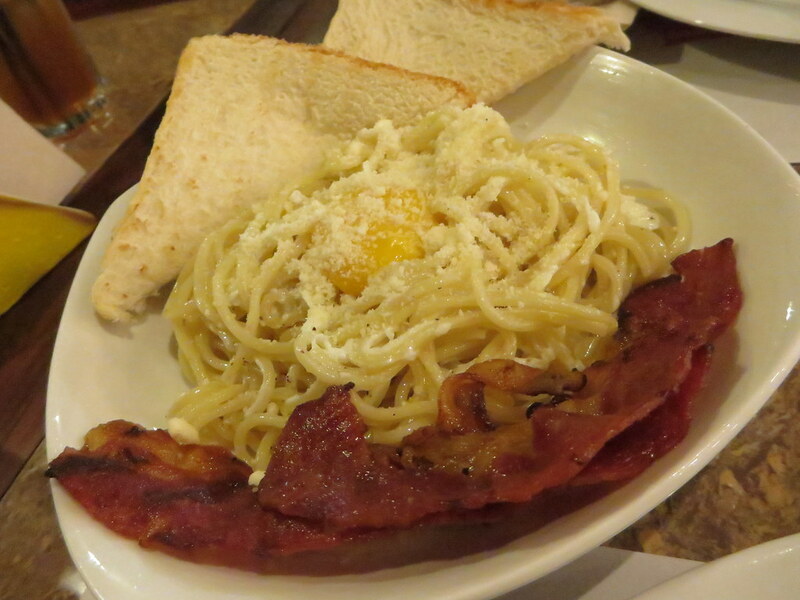 He also gets the Classic Carbonara (P185/$4.11) which T and I both love because there are full slabs of bacon on the side and not just bacon bits. It's also cool to find a poached egg in the middle. The pasta sauce lacks a bit of flavor though. 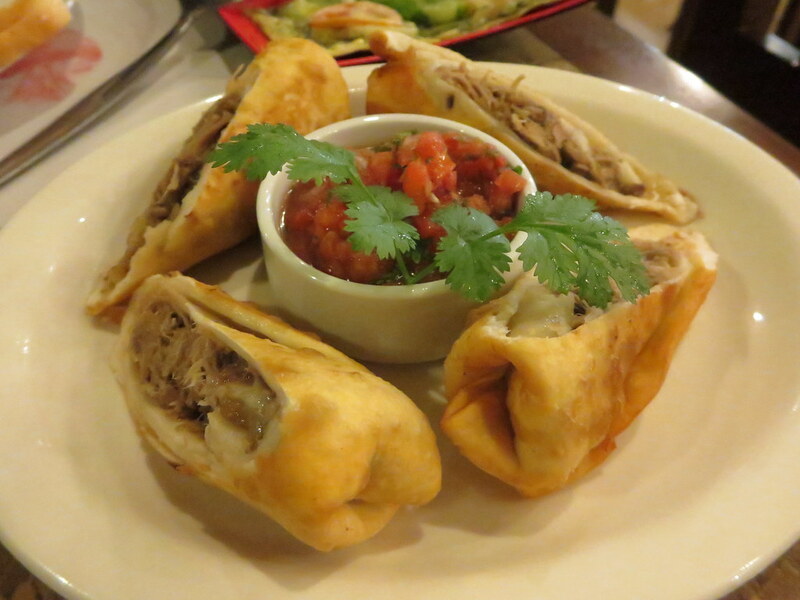 The rest of the menu are Mexican dishes. 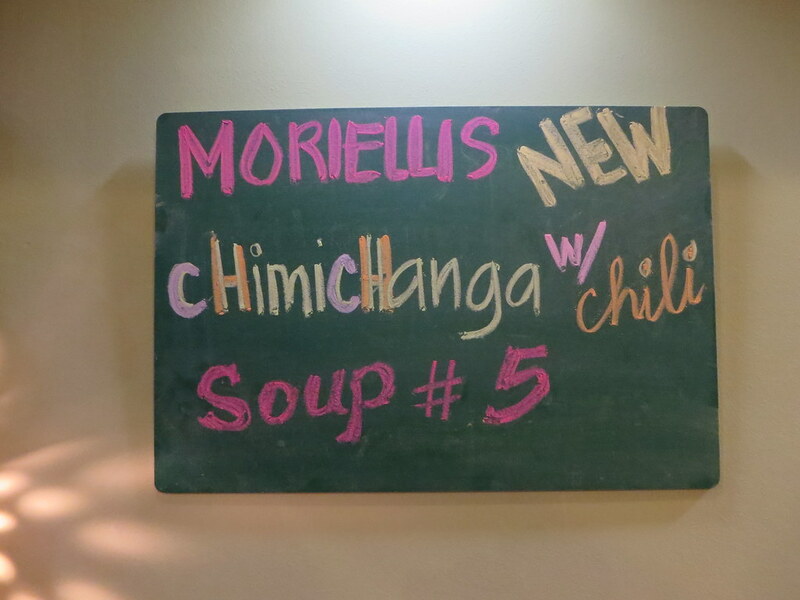 T orders Tacos but when I see this sign near the entrance, I change it and get Chimichanga with Chili Soup #5. When the dish arrives, I look for the chili. But all I see is salsa in the middle. Hmm.. The meat filling with cheese is good but what I really want is the chili. Where oh where? 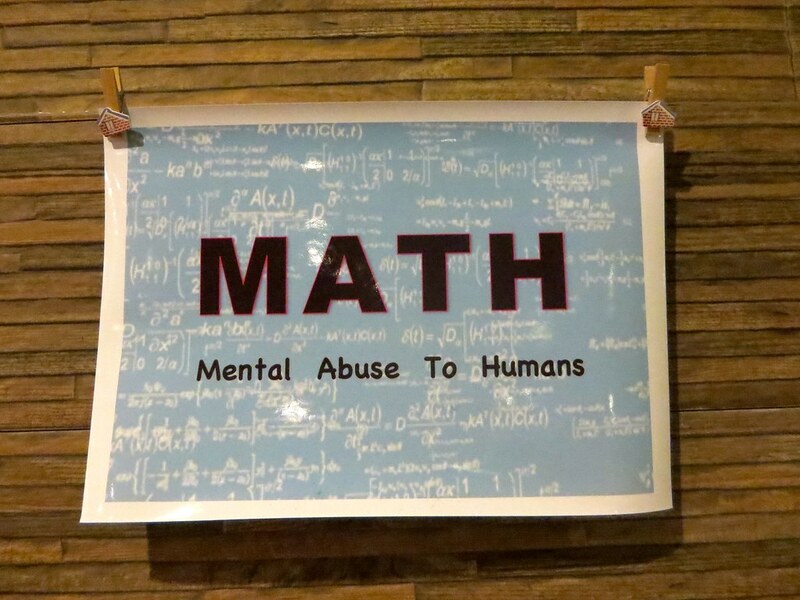 Did I misread the sign? After eating, the chef (and I think the owner) goes up to us and asks us if the chili seems dry. I tell him that the chili is fine but half of me wanted to ask him if the dish really comes with chili soup or I just read the sign wrong. But I get shy and don't mention it at all. After we order, the hostess asks us to write our real names, no nicknames. T and I wonder what it's for until she comes back after a few minutes and hands us these sheets of paper with the meaning of our names. How cool! And before leaving, the hostess asks me and T if we could pose in front of the restaurant for a souvenir photo. I am thankful for this thoughtful gesture since T and I are still sleepy from the massage that we forgot to take a photo of the two of us while eating inside. Special personalized gifts (love this!). Opens early and closes late. The name, vibe, and tag line are a bit misleading because it made us think it's an authentic Italian restaurant when it's not. Coming from Sta Rosa, on the fork of the road, turn left. After you pass a waiting shed, you will see St. Francis Drive's street marker. Morielli's is just behind it. I love the personal touch of this resto. Yeah, akala ko nga nung una Italian. hahaha! I know right? Really thought it was Italian! Haha! Yes, someone commented earlier that it's a different dish but I erased it accidentally. I was supposed to edit mine. Thanks for the clarification!